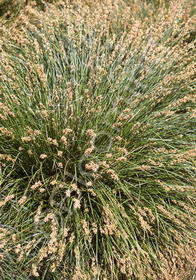 Excellent thin bladed olive green grass to naturalize amongst rocks and moist areas. Evergreen, and versatile, it tolerates drought well, in addition! Useful as a groundcover under trees. It re-seeds readily. Native to the Pacific Northwest.